Joan Graven (daughter of Bessie Wood) gave me an autograph album that belonged to Maria Cook Roome Wood. 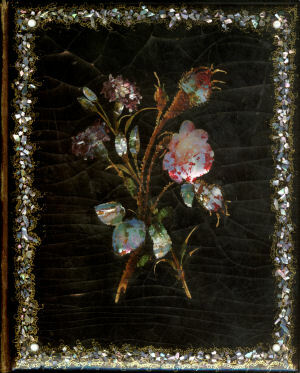 Before the era of photography, people had autograph albums that their friends would write in. Only a few pages of this album are filled out. 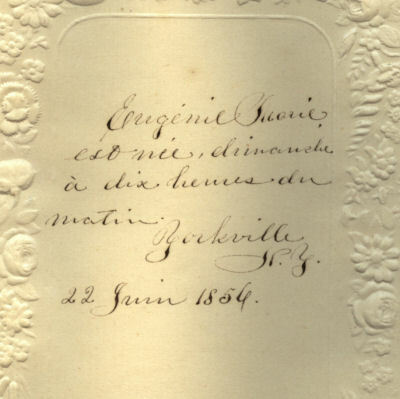 These pages deal with family events, the first are written in French. I don't know if Mr. Roome was French Canadian or from France, certainly family lore says France. 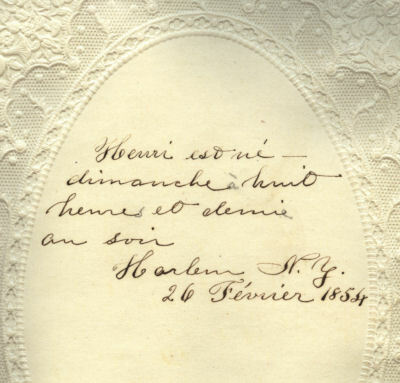 I took this album to the Minnesota Historical society to see if the writing had faded. Sadly, under neither ultraviolet nor infrared did any more writing appear. 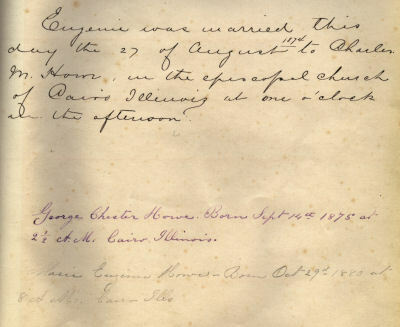 If only Maria's family history had been filled out, we would have our family history. Forget me not. Forget me not. 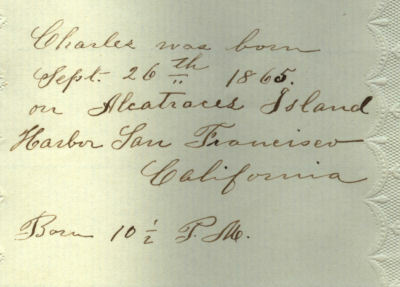 Charles and Maria were living at the federal fort at Alcatraz island. 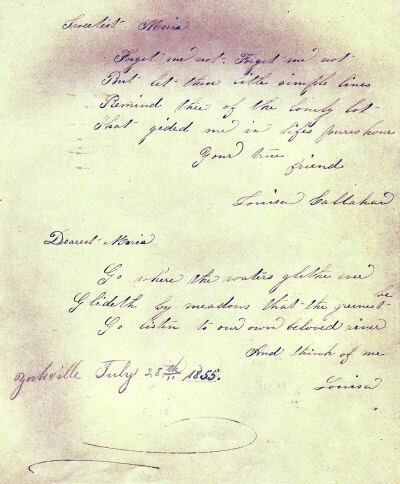 Charles was the 4th commandant.